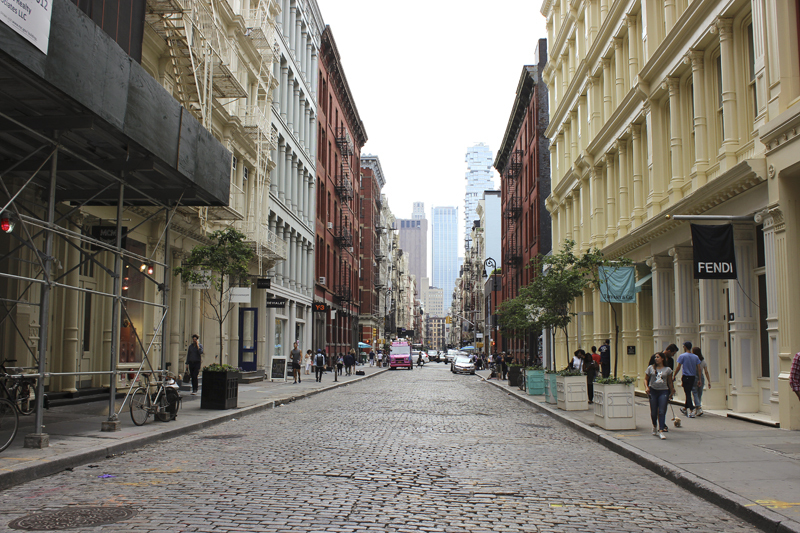 The SoHo and NoLita areas are a shopping addict’s and architecture lover’s dream. The cobble stone streets are lined with cast-iron buildings that house major designer brands to smaller boutiques. Seeing little signs for brands like Dior, Louis Vuitton and Chanel hanging off these metal buildings caught me off guard but added to the eclectic vibes of this vibrant neighbourhood. 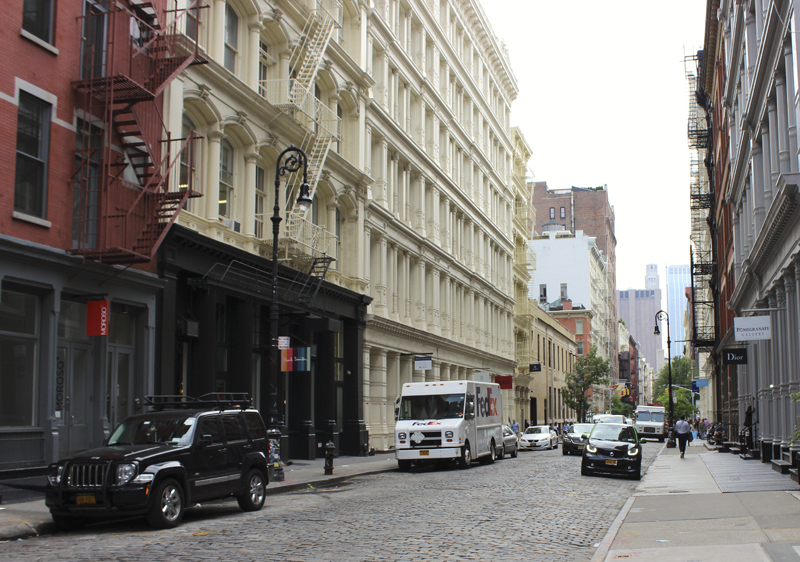 The first time I went to New York I didn’t explore much of the SoHo area, how I managed to neglect that will always be a mystery to me. Broadway is a great place to start with all the popular stores on this street, including Bloomingdales, H&M, Zara and Topshop. I spent way too much time and money in the Aritzia store. 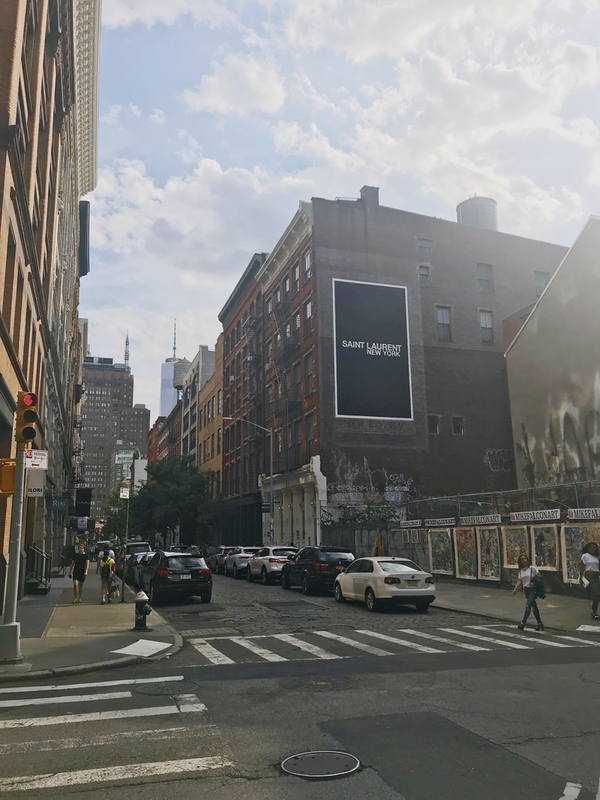 The more high-end stores are on Mercer St and Greene St. I visited the new minimal Anine Bing store and somehow refrained myself from buying one of the gorgeous blazers. I also bought a couple of gorgeous work-out sets at the Outdoor Voices store on Center St.
One of the stores I was most excited to visit on this New York trip was L’Appartement Sézane. 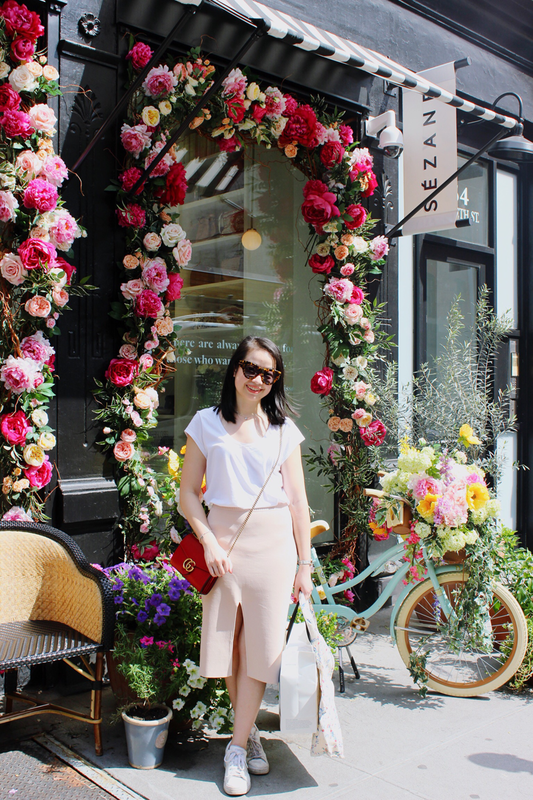 I was introduced to the feminine Parisian brand by Blair Eadie from Atlantic-Pacific and visited their beautiful flower covered store in NoLita. 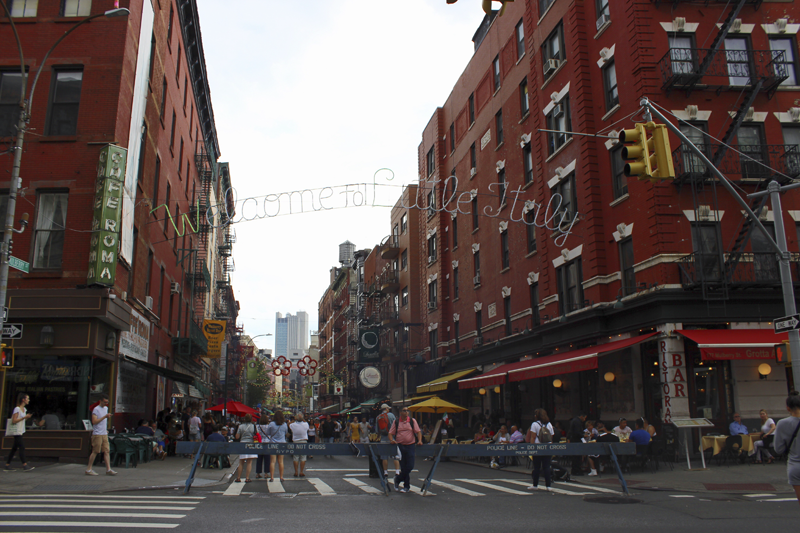 We came back to NoLita one evening and had dinner at Pietro NoLita. The pink façade of the restaurant has drawn in many just for the insta shot. While I was part of that many who took a photo out the front, we also decided to eat at the healthy Italian restaurant. Who knew healthy pasta would taste so good?! I would highly recommend taking an insta shot, but also eating at Pietro NoLita. This place is amazing! Wonderful pictures! I hope that you are having a lovely weekend :) Has been a quiet one here so far with the rain. Love Soho!! It is always a must whenever I'm in NYC! Such a beautiful place. 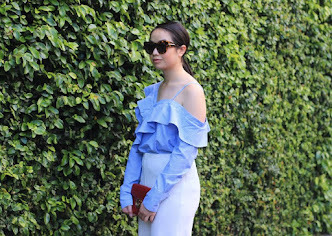 i love both outfits, so chic! Thanks for the great tips. I also didn't really visit that area when I was in NYC. 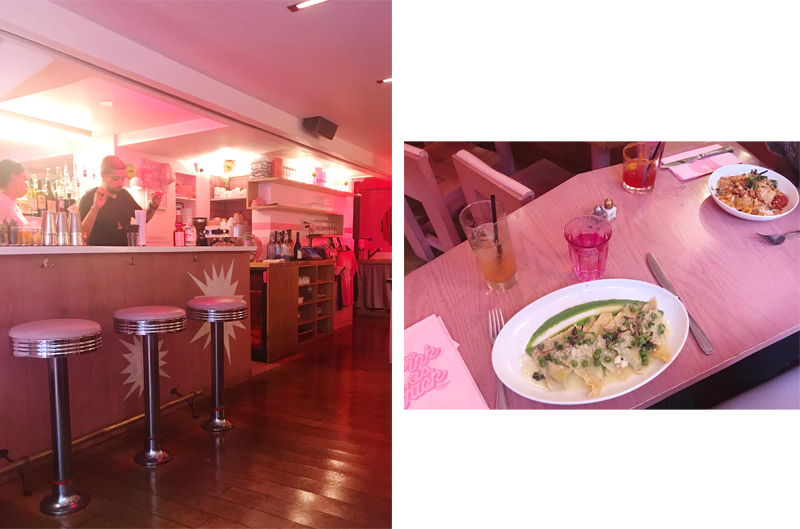 Love SoHo & NoLita, Pietro NoLita is the cutest pink restaurant! I still need to visit L'Appartement Sézane, it looks gorgeous! What a lovely guide. Your photos are sooo adorable too dear. Thanks for sharing! I love shopping in NY! I wish I could go there a couple times a year for some retail therapy. 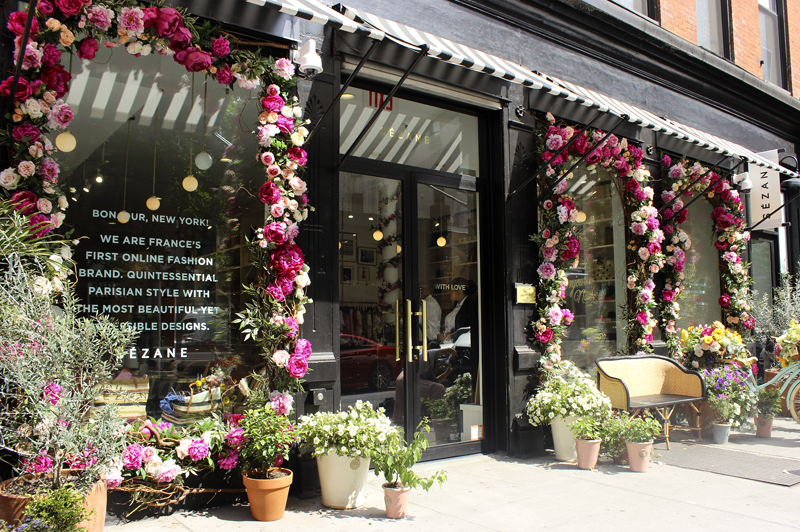 I love Sezane, your lucky to have a store there!